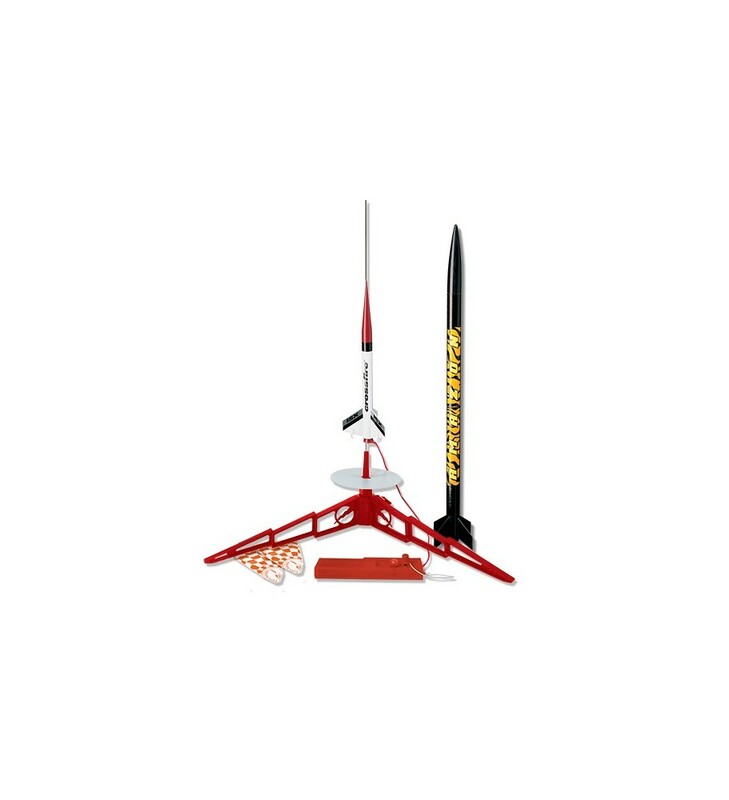 The Tandem-X Launch Set includes two rockets: The Crossfire ISX is a Skill Level 1 kit that will go over 400 meters. The Amazon is an easy-to-assemble kit that's 90 cm feet tall. 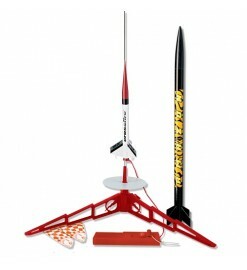 Includes the rockets, a launch pad, an electrical launch controller.